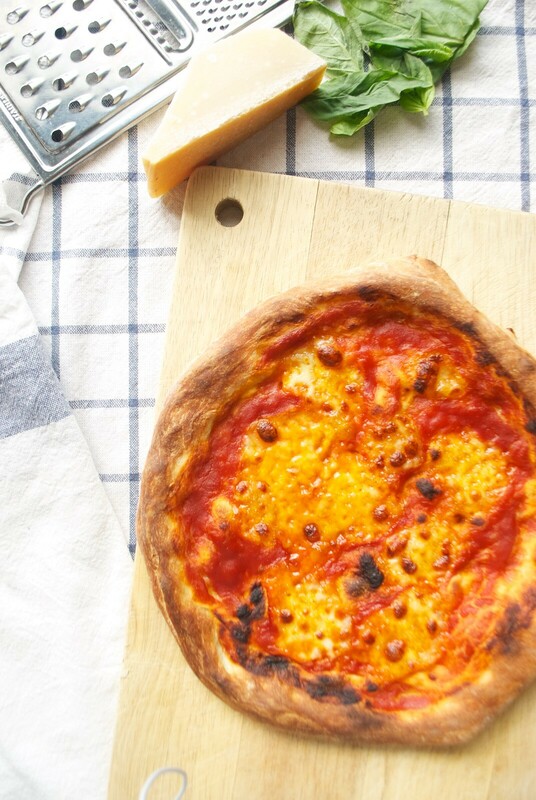 Just about anyone will tell you that you can make perfectly good pizza at home. Go to the store, pick up some pizza dough, roll it out into a big circle, throw on some toppings. Then stick it in the oven for, Oh, I don’t know, 30-45 minutes at 375 degrees? But those of us who really know pizza? Who love it? We know that just isn’t true. You might be able to make a pizza-like object by following those instructions. But real pizza, it is not. Good pizza takes time, dedication, and a tremendous amount of skill. We’re talking New York- or Neapolitan-style pies with maybe little riffs to turn them into something special. Pies that never stray too far from tradition. And pies that most definitely, always have perfectly crisp, slightly blackened crusts. Topped, but not too heavily. Tomato sauce that is bright-tart but also smooth and rich. Melty cheese, slightly bubbly and browned in places. This recipe feels strange and out-of-place on my blog in the middle of summer. This recipe does not feel summery at all. 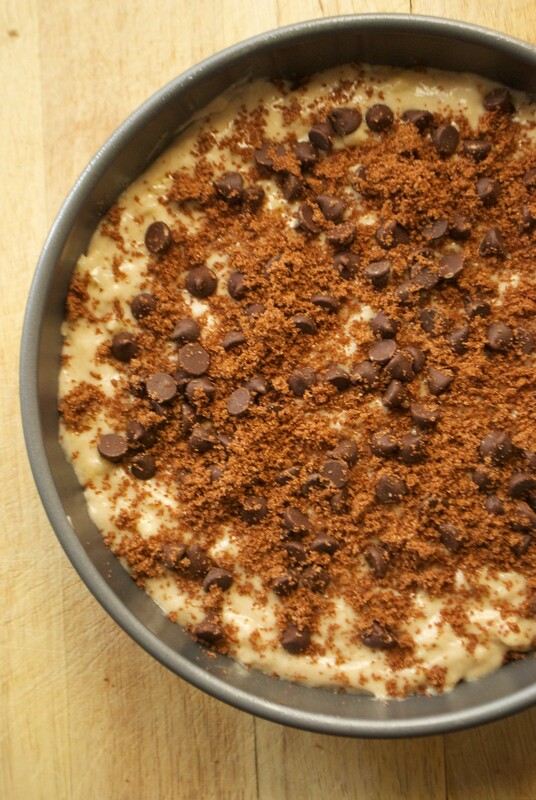 It feels like something you bake up in October, when the air turns crisp. Or in December, for an office holiday party. Or maybe in late February, with the first snow melts. 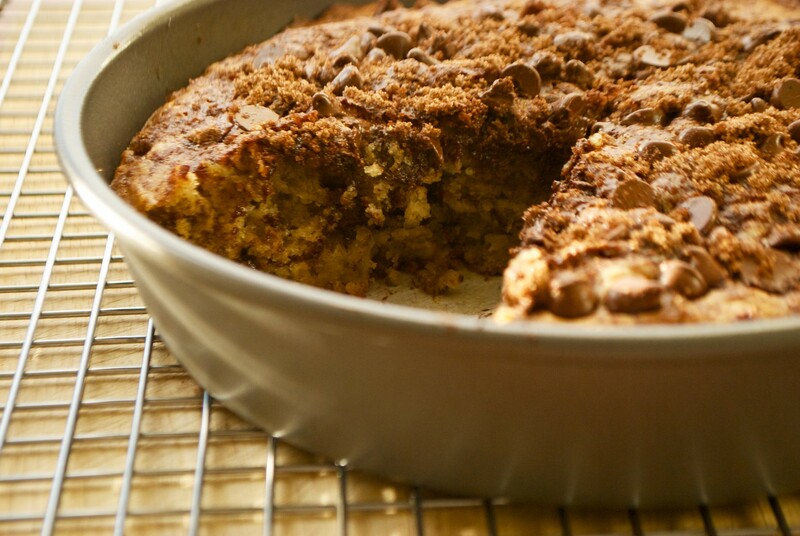 But there have been summer cold snaps in the East Bay, and I feel like they perfectly justify this banana chocolate crumb cake in the middle of July. The longest day of the year has come and gone, and I feel like this city still hasn’t made up its mind about the weather. I spent the summer solstice wandering city sidewalks, blocks of shops and houses in full afternoon sun. It was Father’s Day, so I painted a mug at the ceramics studio for my dad. I ran a few errands. I went to the market for fresh produce. Filled my bag with corn, peppers, shallots, lemons, apricots, apples, mangoes, and plums. I had dinner at a West Berkeley comida under string lights and a crescent moon. It was so hot outside, and the warm weather continued for a week and a half. Less than a week later, the weather turned cold and foggy. 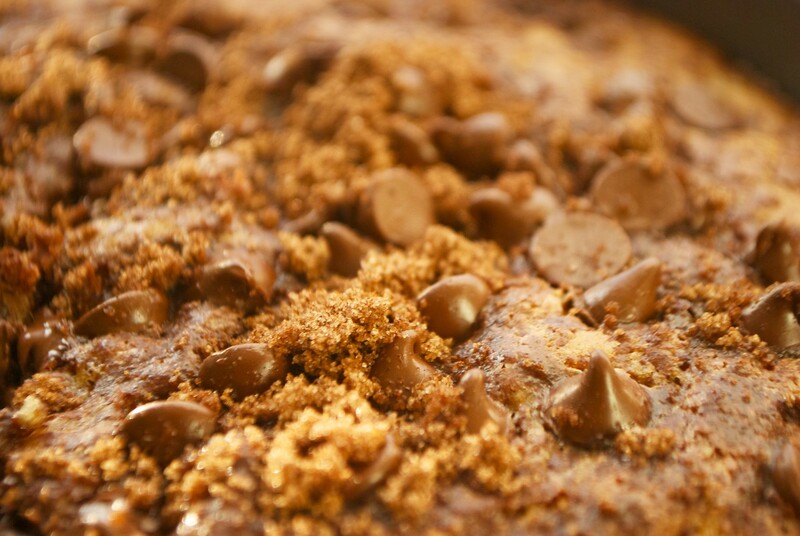 I found myself in the kitchen with a mug of hot chocolate and craving this banana chocolate crumb cake. Sweltering hot days turned into a streak of chilly nights. The weather is back to normal over here, blazing hot and constantly sunny… But I’m still eating slices of this cake out of the freezer. Here’s how we make it. 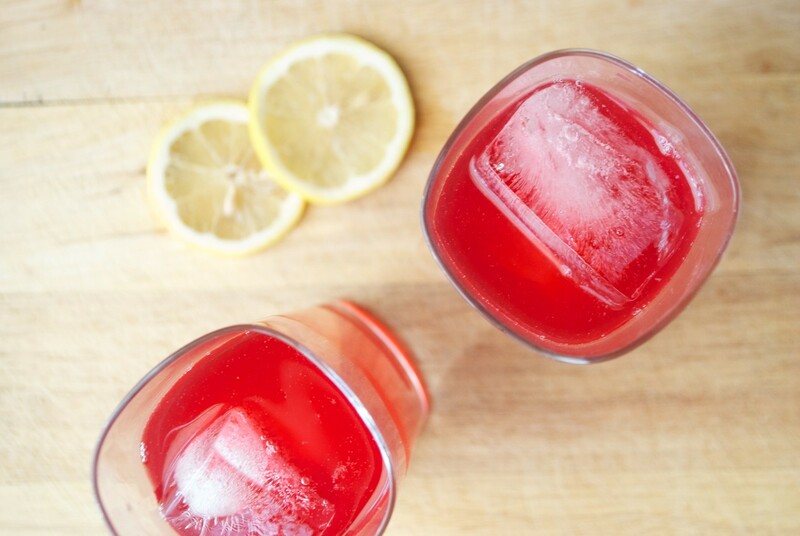 Fourth of July weekend seems like the perfect time to share this lemonade recipe. It’s an easy recipe, and the perfect thirst quencher on a hot afternoon. 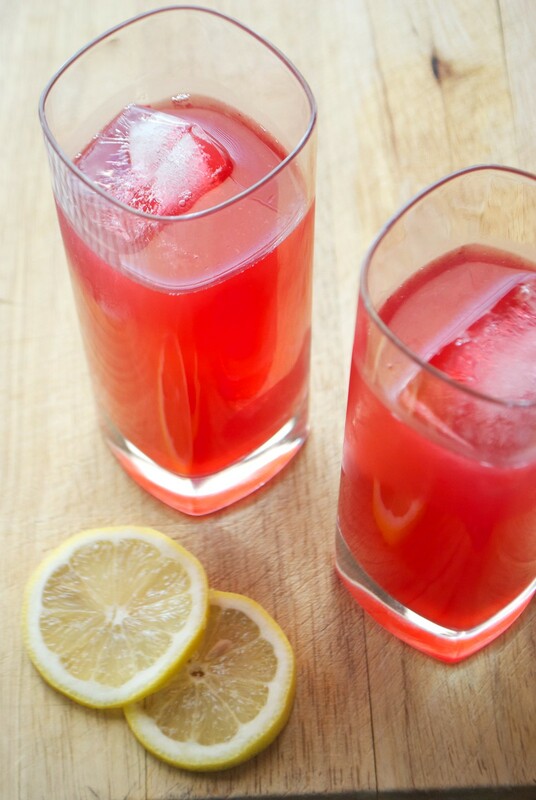 This lemonade is made with sweet-tart plums, sugar, water, and lemon. It’s a stunning bright red, and flavorful despite the simple preparation.